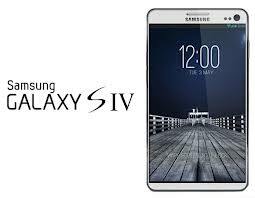 As per the news coming, Samsung is going to launch their next Generation Galaxy Smart phones name as "Galaxy 4" in the Consumer Electronics Show (CES) and Mobile World Congress (MWC) which is going to be held in 2013. CES is going to be held in January 2013 and same as Mobile World Congress will also held in the end of February. Korean smartphone maker Samsung is being expected that 1920*1080 pixels, a 5-inch smartphone Galaxy S 4 launch is going to be huge. Experts speculate that its display will be better then Iphone 5 and Samsung Galaxy 3. The more information about the features of the Galaxy S 4 are not achieved. But it is expected that it will going to have 2 GHz quad core processor with 13 MP snapper to the rear. As for the multi tasking work it will going to have 2 GB ram in it.